A 59-year-old man from western Pennsylvania who was diagnosed with mesothelioma this past spring has filed an asbestos mass tort claim in state court against various companies involved in the manufacture of products containing the fiber. 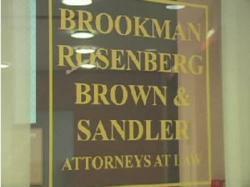 Attorney Steven J. Cooperstein, of the firm Brookman, Rosenberg, Brown and Sandler, filed the civil action late last week on behalf of Charles Klingensmith, who resides in Salina, Pa., which is located just outside of Pittsburgh. The lawsuit was filed as a short-form complaint in the master asbestos litigation at Philadelphia’s Common Pleas Court. Klingensmith claims his May 2012 mesothelioma diagnosis was directly attributed to his exposure to asbestos during his working years. An employment history attached to the complaint shows that Klingensmith worked as a brick cutter for General Refractory Co. for one year back in 1971. He also worked as a metal fabricator for Rupert Industries from 1971 to 1988 and as a welder for Allegheny Ludlam Steel from 1988 through to the present. Klingensmith claims many of the products he has worked around throughout his career contained asbestos dust and/or fiber. The following companies are listed as defendants in the lawsuit: Allied Signal Inc., Asbestos Corp. LTD, Baltimore Ennis Land Co. Inc., Bayer CropScience Inc., Beazer East Inc., Bell Asbestos Mines LTD, Bird Corp., Certainteed Corp., Champion International Corp., Crane Co. Demming Division, DAP Inc., FMC Corp., Foster Wheeler Corp., General Electric Co., Georgia-Pacific LLC, Goodyear Tire & Rubber Co., Goodyear Canada Inc., Goulds Pumps Inc., Green Tweed & Co. Inc., Heidelberg USA Inc., Ingersoll Rand Co., ITT Corp., J.H. France Refractories Co., Kaiser Gypsum Co. Inc., Karnak Corp., Lear Siegler Inc., Metropolitan Life Insurance Co., Napa Auto Parts, Owens-Illinois Inc., Pecora Corp., SOS Products Co., Square D Co., The Sherwin-Williams Co., Union Carbide Corp., Yarway Corp., CBS Corp. and 84 Lumber. Klingensmith seeks damages as set forth in the master asbestos docket at the Philadelphia Court of Common Pleas. The case ID number is 120704104.